Jap.102 "The Pure Heart Stolen! 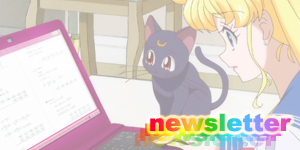 Usagi's Biggest Crisis"
Serena is distraught. 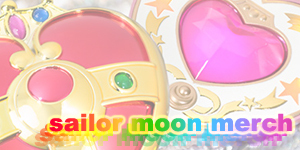 Kaori Night has her Cosmic Heart Compact and Tuxedo Mask has been captured! 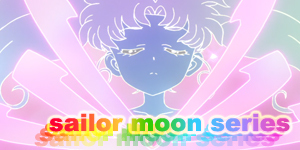 Sailor Mercury, Mars, Jupiter and Venus arrive but Kaori Night begins to teleport away and tells them all that if they want to see Tuxedo Mask again, they'll meet her at Tokyo Tower. 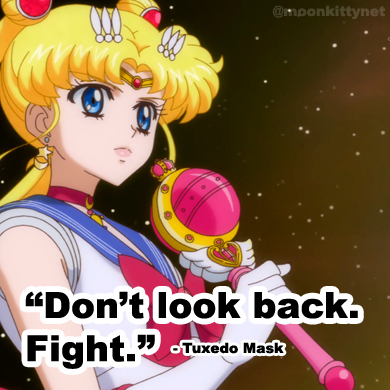 With that, she and Tuxedo Mask and the Heart Snatcher disappear. The girls tell Serena that it's a trap but Serena can't bare to think of Tuxedo Mask being imprisoned and runs out of the building. Amara and Michelle pull up in their car and offer to give her a lift. While driving they ask Serena about her opinions on sacrificing someone for the greater good. Serena surprises them and says that if everyone worked together they'd be bound to find a way to solve a problem without a sacrifice. As they arrive at Tokyo Tower they let Serena out and decide to follow her as they still need to know if Serena's Heart Crystal is one of the one's they're looking for. When Serena makes her way into the building she sees Kaori Night and the trapped Tuxedo Mask. Suddenly the Heart Snatcher blasts her and removes her Heart Crystal. Sailor Uranus and Neptune then show up and steal it. Sailor Uranus examines it but finds that while it's bright, it's not one of the ones they're after and places it back within Serena. Kaori Night then laughs at Serena as she holds her compact and calls her Sailor Moon. 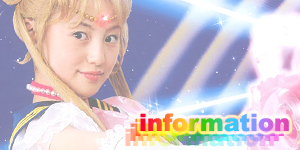 This surprises Uranus and Neptune but before they can do anything a mysterious new Sailor Moon appears! 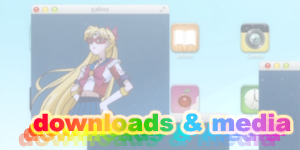 Fortunately for Serena it's Sailor Venus in disguise! Kaori Night looks at her and suspects that something's different but Sailor Mars, Mercury and Jupiter all try to convince her that Venus is Moon and explain that Serena could never be the powerful Sailor Moon because she's so immature and a crybaby. Kaori Night, fooled by the disguise throws the Crisis Moon Compact on the floor in frustration and leaves. 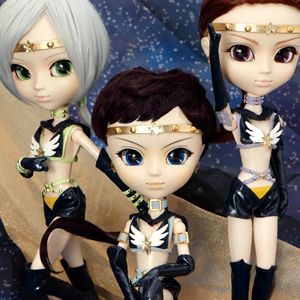 Sailor Uranus and Neptune follow her. Sailor Venus/Moon then jumps at the Heart Snatcher with a "Sailor Moon Kick" and then attacks with a "Love Me Moon Chain" attack, much to Serena's shock. Serena then grabs the compact and transforms into Sailor Moon and defeats the Heart Snatcher with Moon Spiral Heart Attack. The crystal surrounding Tuxedo Mask melts away. Sailor Moon then walks up to Venus and tells her to get out of her disguise and they all head on up to the roof to help Uranus and Neptune fight Kaori Night. On the roof, Kaori Night activates a forcefield which prevents anyone from leaving. All the Scouts then take turns attacking her but none of their attacks seem strong enough. Sailor Moon, Mercury, Mars, Jupiter and Venus even blast her with a Sailor Planet Attack but Kaori Night simply proves too strong. Kaori Night, standing victorious then pulls out the other glass slipper and injects it with a special serum. It transforms into a sword which fires sharp crystals from it's tip. Tuxedo Mask begins to duel her but she's simply too strong. Sailor Neptune and Uranus standing on the sidelines begin to remember Serena's words from earlier about working together and decide to help. When Kaori Night next decides to fire, Sailor Uranus attacks with a Uranus World Shaking which blasted through the crystals and hits Kaori Night in the chest and draws all the crystals back at her and encases her in crystal! Suddenly that part of Tokyo Tower begins to collapse and she falls to her death, still encased in crystal. 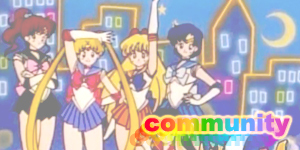 Sailor Moon and the others turn to thanks Sailor Uranus but she and Neptune have already left. That night Serena and Darien sit together outside Raye's temple while the other girls continue to party inside much to the annoyance of Raye who wants to go t bed. Back at Tomoe's secret base, Doctor Tomoe gets a phone call confirming that Kaori Night is dead. He then speaks to his next in charge, Eugeal and puts her in charge of their mission. The Heart Snatcher featured in this episode and the previous one was made from a kind of "super Daimon pod" and seemed a lot stronger than previous ones. Powers included that of trapping someone in glass objects such as a shop window and firing glass projectiles that expand around the target. While this Heart Snatcher was made from one glass shoe, the other shoe was transformed into a sword with similar powers as this Heart Snatcher. She was destroyed by Moon Spiral Heart Attack. Eugeal made her first appearance in this episode. While Sailor Venus used "Sailor Moon Kick" and "Love Me Moon Chain" (the later only named in the Japanese version) during this episode, they obviously weren't real attacks so no special attack pages will be made for them... for now. The footage of Sailor Jupiter's attack in the episode was actually taken from the Sailor Moon R Movie when the Sailor Scouts are fighting on the asteroid. Interestingly enough the music that plays while Serena is being driven to Tokyo Tower changes depending on the version you watch. 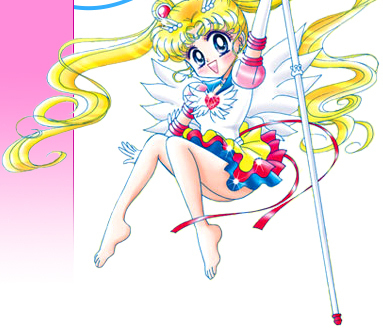 In the Japanese Version and the Uncut English Version (the version on the DVDs) the Japanese song, Ai no Senshi (Soldier of Love) plays but on the Edited English Version (that aired on TV and has been released on VHS) an English song with the same music as Ai no Senshi plays but very different English lyrics plays. Tokyo Tower (strangely called "The Tokyo Tower" in the English version) is a real life location in Tokyo, Japan and while it's featured in this episode heavily it can also be seen in the background in almost every episode of the anime. 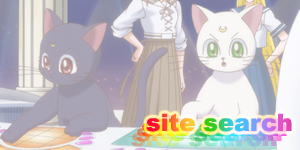 For more information on it check out the Sailor Moon Travel Guide.